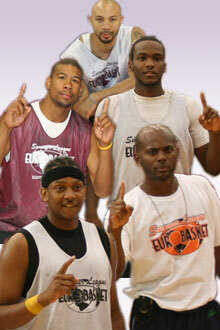 The Eurobasket Summer League (ESL) has been known as the #1 international exposure event in the business. ESL has supplied professional level talent to over seventy (70) different countries and countless leagues over the past 10 years. Please click the ESL Players Abroad link to verify the former ESL players and their current league. ESL continues to attract some of the best available players for teams to select including NCAA All-Americans, NBA D-League veterans, and experienced professional talent. Eurobasket is the most powerful online media tool for the global basketball market as 2.7 million basketball related users visit the site on a monthly basis. Eurobasket.com dedicates front page priority for up to date coverage of all ESL events, standings, statistics, game reports, and all-tournament teams. The unmatched demand of Eurobasket coverage allows ESL participants to draw attention from the top coaches, GM’s, and owners across the globe. 2017 will bring a lot of high profile events for ESL including the annual Las Vegas NBA Summer League Camp in July. The Las Vegas event will cover three days (July 7-9) instead of the common two day event in other cities. We will kick off the ESL schedule on May 6-7 in Atlanta, GA. ESL will also make stops in high profile stops in Dallas, Chicago, and Brooklyn. Each event takes the structure of the NBA Combine allowing teams to scout each player to their full potential. The first day will feature each player participating in a series of athleticism tests (vertical jump, sprints, agility, etc), position specific shooting evaluation, and game simulation (transition, defense, 3on3, etc). This allows each player to show their individual skill level both physically and mentally. The second day will feature the 5on5 games allowing each player to show their skill set in the game format. In international game of basketball is one based on team and not individuality. Therefore, selfishness will not be permitted. It does no good for the player, his teammates, or the coaches trying to scout talent. This is a program that can get you where you want to be. If you would like more information regarding ESL for players, agents, volunteers, and coaches please contact ESL Director Dustin Simcox at esl@eurobasket.com.